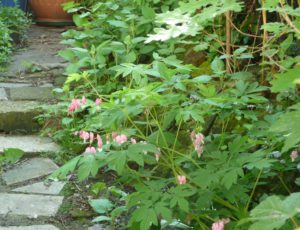 In early spring the fresh, fernlike blue-green foliage of the Bleeding Heart appears. 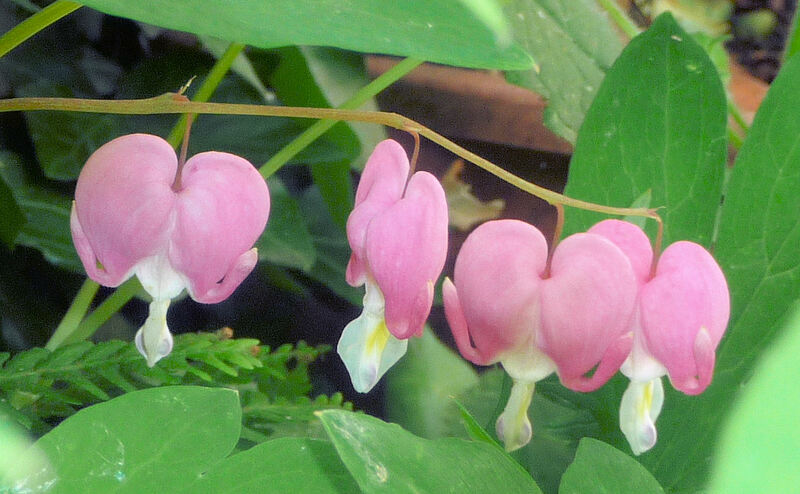 Rows of heart-shaped rose flowers with white tips dangle from its arching stems. 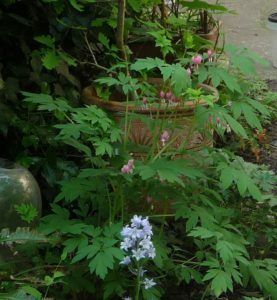 This elegant plant was formerly known as Dicentra spectabilis. 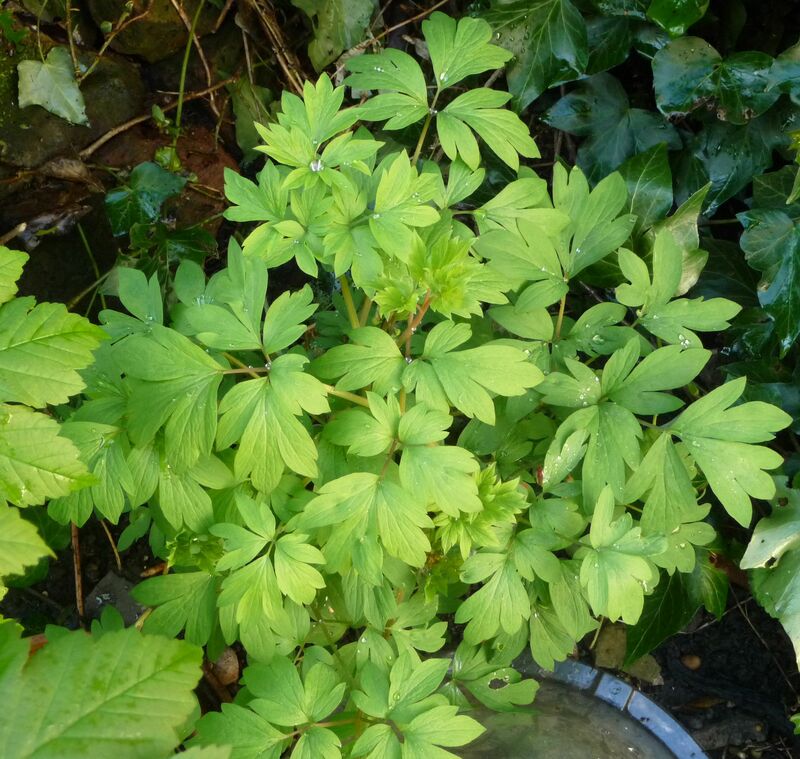 It prefers moist, fertile, well-drained soil & shelter from strong winds. No pests or diseases trouble it. Here in North London, in the dappled shade of our north-facing ivy wall, its foliage lasts into late summer. After flowering the plant gradually subsides & disappears, leaving a gap in the border until the following spring when it rises again. Other names: Asian Bleeding Heart, Coeur de Marie, Dutchman’s Breeches, Hearts on Strings, Lady in the Bath, Lady in the Boat, Lady’s Eardrops, Lady’s Heart, Lady’s Locket, Lady’s Purse, Lady’s Shoe, Lockets and Chains, Locks and Keys, Lyre Flower. Our first Dicentra, from a small garden centre on Corsica Street, grew in a pot on the balcony of my old flat. 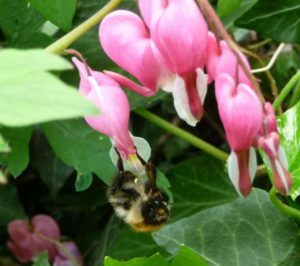 It came here in 2001, was planted out, and for years its rosy hearts dangled over the garden path, providing the first spring colour. We lost it one bitter cold winter a few years ago, and this is its replacement. Dicentra flowers are pollinated by Bumblebees and other insects with long tongues. 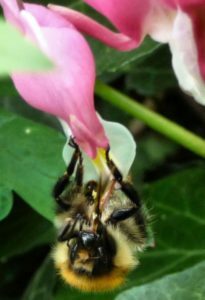 These images of a Bumblebee visiting the lockets are from 2015. 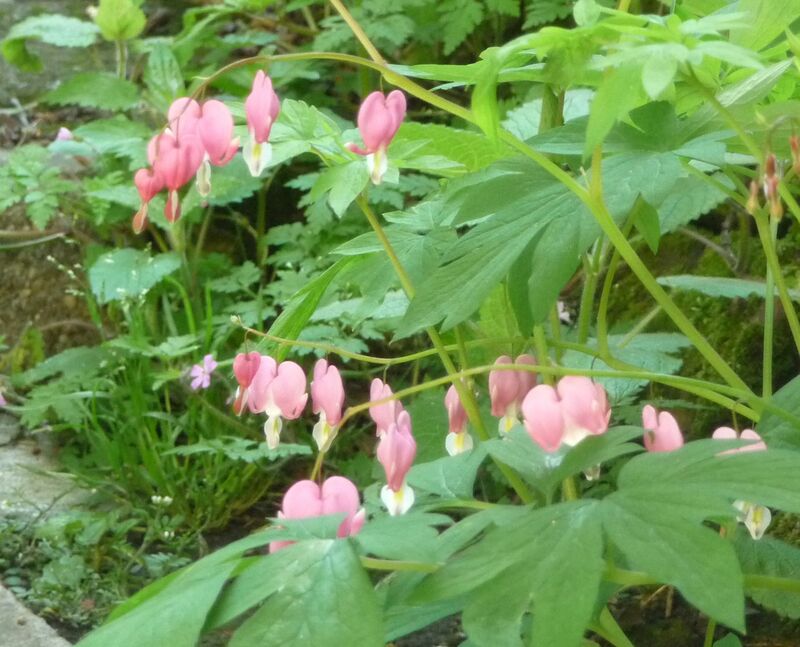 Roger Brook holds the National Dicentra Collection. 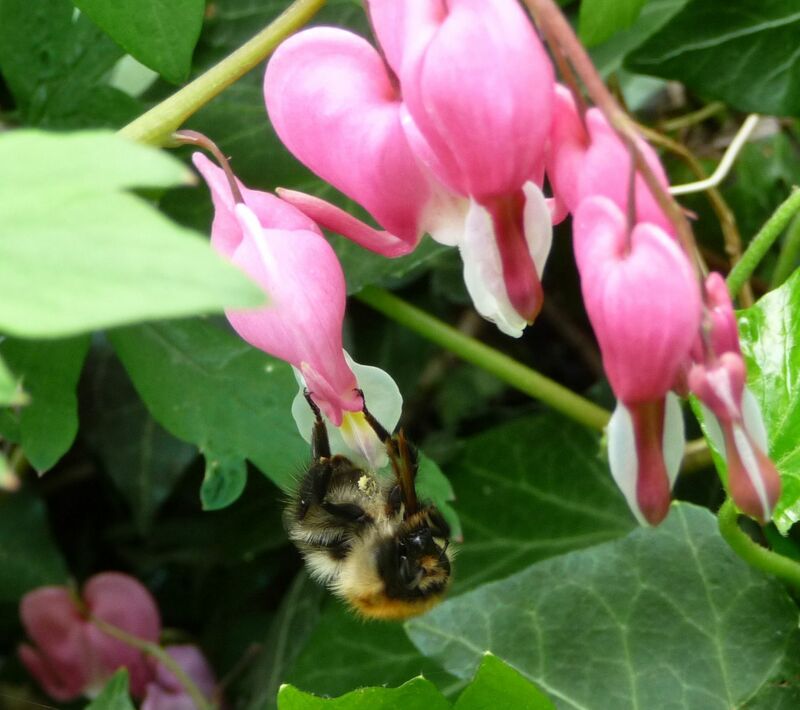 See his website for propagation tips and photos, including ‘Valentine’, a rich red Bleeding Heart that is now his favourite.